There are Two Types of Weeds. The first type produces large quantities of seeds, however these weeds are easy to pull or hoe, but new ones keep appearing. The second type is harder to kill, often because these weeds have persistent underground roots or other parts that can sprout into new plants. And then you have the dandelion, which combines the traits of both types. 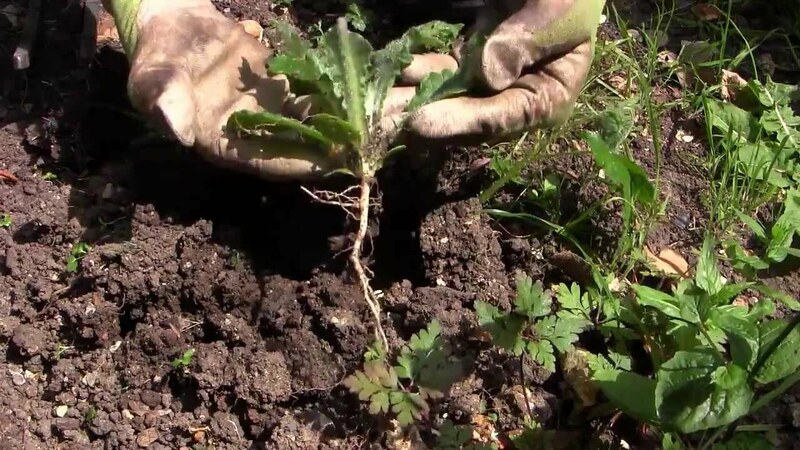 When weeding, extract the entire root because even a small part can regenerate the plant. 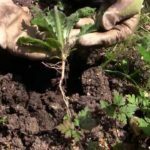 So how to get rid of weeds in flower beds? When the weeds are small and numerous some weeds just need to pulled from the dirt. Using mulch in flower beds helps choke out the weeds ability to grow. The best time to pull weeds is right after irrigating or a rainfall. 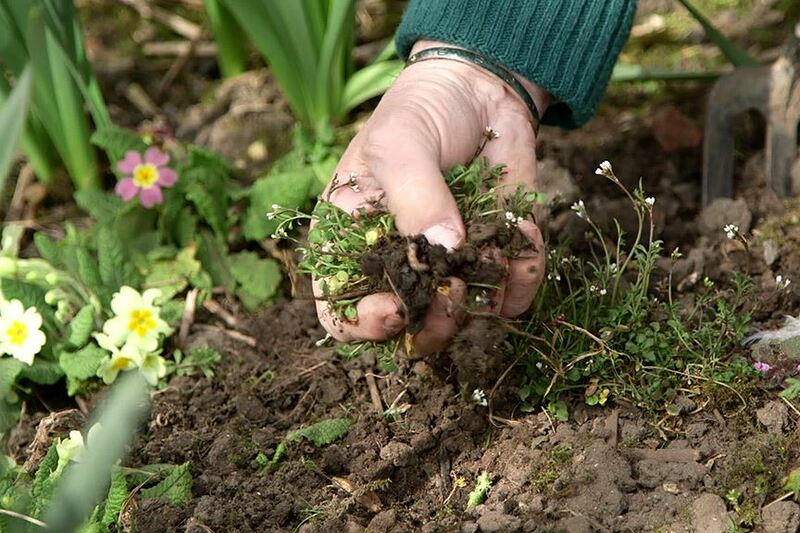 It’s easiest to pull or dig weeds out in their entirety when the ground is soft. After weeds are pulled or dug out, remove them entirely from the garden. Some weeds can grow back or go to seed if left where they are. Keep weeds out of the compost pile unless you are able to maintain heat high enough to kill any weed seeds. For a simple, chemical-free way to kill vegetation, try boiling water. A teakettle is an effective way to deliver a stream of heated water between the cracks of concrete or bricks. Just realize that everything the water touches will die from the heat, not just weeds. Plant cover crops to reduce weeds. A cover crop, sometimes called green manure, is a fast-growing beneficial plant that out competes weeds for light and nutrients. Cover crops include wheat, barley, oats, rye, sorghum, and sudangrass. Some even release weed-suppressing natural chemicals while they’re growing or decomposing. They can be planted any time during the growing season, then plowed or turned under when it’s time to plant vegetables or flowers. Organic mulch is a great way add organic matter to the soil, it blocks light, which helps suppress weed germination. Add a 2- to 3-inch layer of chopped leaves, compost, untreated grass clippings, pine straw, cocoa hulls, or shredded hardwood or cypress bark to beds. Avoid putting mulch directly against the stems, twigs, and trunks of plants because fungi and bacteria can enter the plant from moist mulch. Your hands are often the best all-purpose weeding tools, but when you need a little more power, try one of these. Cutting and scraping tools work best for sliding behind and beneath weeds to chop stems from roots. Use angled triangular blades to weed cracks and crevices. Fishtail or taproot weeders have a V-shape tip on the end of a long tool that you slip on either side of a weed stem (such as a dandelion) to pry the root from the soil. Digging knives (also called hori-horis) are versatile tools that can dig holes, divide perennials, dig taproot weeds, and scrape weed seedlings from the soil. Oscillating hoes have sharp-edge stirrup-shape blades and long handles. 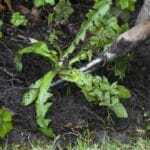 Eradicate weeds by moving the blade back and forth in the soil. These work well in a vegetable garden when you want to sever young weeds between rows. 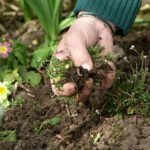 These strategies and enriching your soil with organic matter every chance you get can move your garden along down the weed-free path. For large scale projects call Ryno Lawn Care to assist you! This is an amazing tool and can be used to get rid of weeds from the flowers. 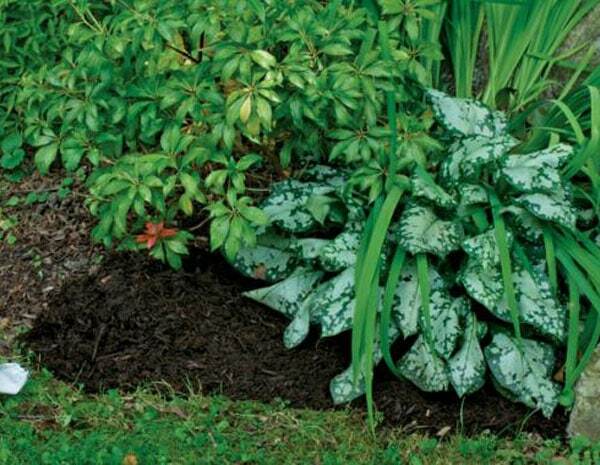 What mulch would you say is best for large weeds? I used to mulch the front garden at the old house and never had a problem but here, it seems like the weeds have super powers. Maybe it is not weeds at all? I am not sure what these plants are but they manage to bust thru the mulch every tear, 2 years in a row now! I can’t take it, it looks awful. Mario, I like how you mentioned keeping weeds out of compost piles unless you’ve removed all of the seeds. It seems like my yard is always overrun with weeds, but weeding is not my favorite activity. These tips are great, but I’m looking into professional weed control services to take care of my problem.